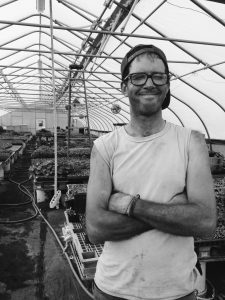 So many people have been involved in Big Train Farm over the years. It is actually impossible for me to remember everyone who has volunteered on my own! Dozens of people have been involved as a work-share. Many others as paying CSA members. How to account for everyone?! To those of you who may be reading this it is probably not important to have a long list of names of people you may or may not know. Instead seeing the pictures may be more poignant. Some of course do need mentioning! John Kenny has been the owner and manager since 2009, the year following the BTF partnership between Mis Zill and himself. 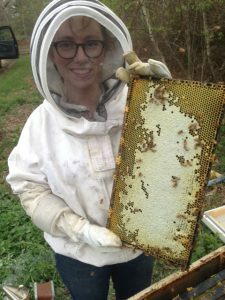 Mindy Walls is the resident beekeeper and assistant strategist of BTF and has been on the farm in one capacity or another since 2009, a BTF heavy-weight. Internships have been offered at BTF since 2012. Interns have included Alejandro Brambila, Danni Simonik, Joe Goodale, Dakota White, Victoria Stilwell, Kathryn Zuromski, and Andrea Williams. Currently we have one assistant manager, Calum Macpherson-Smith, and three employees: Ayla Alquist, Violet Anderson, and Declan Beltram. Other employees over the years have included Kelly Jutras, Nolan Lindenburg-Pennoyer, Danni Simonik, Victoria Stilwell, Dakota White, Cassidy Whipple, Sabra Viara, and Chris Lundgren.